I’ve been playing around with Arduino’s and things now for a few years on and off. Although I’ve dabbled in electronics before, I was completely new to the world of micro-controllers and C++. A lot of what I wanted to do relies on communicating with other things, so pretty early in to playing around with it all, I wanted to get some WiFi working and get these Arduino boards collecting some data and maybe uploading it to a database over the web. 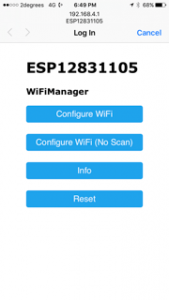 I discovered the ESP8266 WIFI Chip. I am really interested in what could be done with these super low cost chips, because of just that – they are a few dollars, not $50+ just for some comms. I know people are all over Raspberry PI’s, but to me they are just a computer from 10 years ago running Linux. Sure, they have their places for media players and all sorts of more advanced IoT bits and pieces where all that computing power is needed, but for low cost little things that do a simple job like controlling a relay or measuring a temperature, they seem over kill and are expensive. I kind of gave up on it all for a while as I didn’t think you could ever really make anything serious with them. 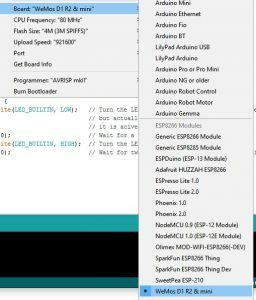 The first and foremost thing that happened is that some clever people got the actual Arduino concept (C++, Arduino IDE to code in, whole stack of cool libraries that do cool stuff) running directly on the ESP8266 chips themselves, so you didn’t have to wire up an Arduino to and ESP8266 over serial (or software serial), you just wrote code and uploaded to the one ESP8266 chip. The ESP8266 has a much faster processor (80mhz) than the Atmel processors on the Arduino’s + a lot more memory to run your sketches in. Also, boards like the NodeMCU had come out that were essentially an ESP8266 on a nice little development board with a USB <> RS232 adapter baked in, all the voltages right etc. (as Arduino was 5v and ESP8266 is 3.3v so you had to mess about with level shifters etc..) – just plug in to your USB port and go without having to build a circuit with Arduino, ESP8266 (that was not friendly to mount on a breadboard – some of them anyway), voltage dividers to step voltage down on data pins, blah blah.. etc etc.. The second thing, was that no more did you need to use AT commands like your talking to some modem from the 1980’s. 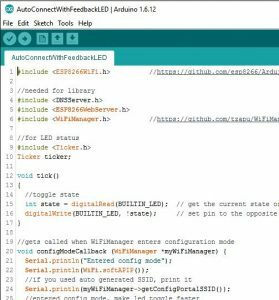 Someone had written some nice ESP8266 libraries you can just include in your sketches and get going with just a few lines of code. I’d ordered a bunch of NodeMCU boards from Aliexpress but still found that they would do funny things and not be reliable. Then in my sniffing around the internet, I discovered the smaller Wemos boards that also had an ESP8266 but they were the ones with the nice metal can over the wifi chip to make them more compliant and the whole package is quite a bit smaller. Since working with these modules now, things are solid. I don’t know if the NodeMCU boards I had just had flaky ESP8266 chips or power supply components.. but finally after messing about with this stuff for a couple of years, I had a reliable setup.. So if anyone wants to fast forward the messing about I’ve done and get stuck in to building something small and Wifi capable using the Arduino community and libraries, here is a list of things I have learnt messing about with all the different versions of this stuff. 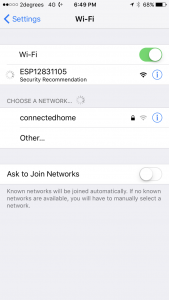 I also found this great tool that gives you a ready to go WiFi Setup system for your widget.. from a phone, you just connect to the Ad-Hoc network your board creates and it automatically brings up a page to join your main WiFi Network – then device reboots and connects to said network.. makes it so easy! This is a good place to start your development. 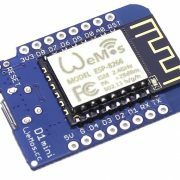 Get your self a WeMOS board – $4.00 US!! – $5.76 delivered to your door here in NZ. Plugin your Wemos board.. On Windows it should plug and play the serial driver and appear as a new com port. From the Tools menu, select the Wemos board and select the COM port your Wemos is on. 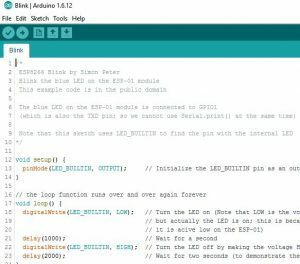 Upload the sketch to the WeMos just like you would an Arduino and confirm the light starts blinking!! One thing to note here, i had a lot of faffing around with sketches intermittently not uploading to the Wemos.. the process just saying failed. What i figured out is that you are mean to ground Pin D3 on the Wemos to put it in to flash mode.Sometimes it will upload/flash without you having to ground this pin, but once you get a sketch on there and you’re recompiling and uploading, it can get a bit finiky. So remember to short between D3 and Ground when uploading sketch, and then take the short off to run. If you’ve got to here, great!! 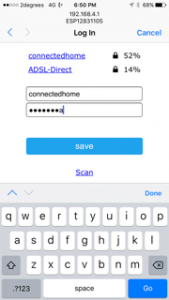 Now, lets get some basic WiFi happening and the WiFi Manager which manages setting up the WiFi connection simply without hard coding into sketches. 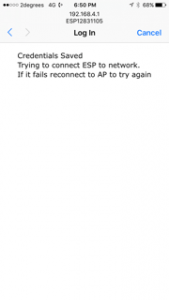 In the Examples, find WiFi Manager (should be there if you installed it earlier from the library). Maybe restart the IDE if you dont see it. 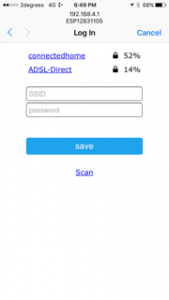 Load the AutoConnectWithFeedbackLED sketch and upload this to your Wemos. Once the project is uploaded successfully, power off and on the Wemos. 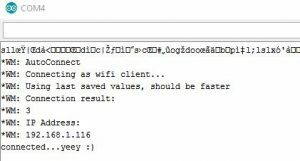 If you have a console connected to the serial port the Wemos is on (default 115,200 baud rate), you will see the chip start, connect to your network and get an IP Address. From here, the world is your oyster as they say. You can measure sensors, send results to web services etc etc.. I thought this was a pretty cool place to start off though.. it has taken years of messing around with different aspects of this, but this above process is now the basis for any of my IoT ideas now. How i’d wish it had been this easy a couple of years ago back in the day of soldering up boards with level shifters and connecting arduino nano’s to ESP8266 chips through level shifters and then sending a whole bunch of AT commands just to get something to happen….hours of messing around can now be sorted in less than 5 minutes once you are all setup. Hope that helps someone get started in the wonderful world of IoT. Hello World, as they say. 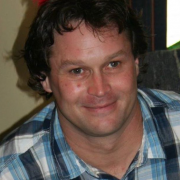 Things are changing every day and you can spend hours researching something, and then find someone has already built something that is exactly what you need and you can implement it in 5 minutes…. Anyways, I spend a lot of time online with work and personal stuff finding answers and shortcuts to what I am trying to do and am forever grateful to all the example code and bits and pieces I have learnt from others online over the years that share their knowledge..